The SeaLife Micro 2.0 is the flagship of a great line of fully-sealed, easy-to-use compact cameras. We have reviewed much other SeaLife gear, including shooting Sea Lions with the Micro HD+, and the Micro 2.0 earned it's position, delivering high quality photo and video. So what's different? 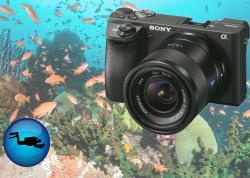 In short, the SeaLife Micro 2.0 is built around a new 16 MP Sony CMOS image sensor. This sensor delivers the image quality Sony is known for, plus full HD video (fun fact: Sony also makes most sensors in Nikon cameras). 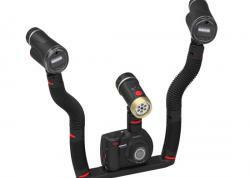 The Micro 2.0 also features a 130 degree field of view lens, SeaLife's trademark piano key dials, and compatibility with the SeaLife Sea Dragon line of video light accessories. In this review, we take a closer look at how the Micro 2.0 really performs for underwater photo and video. 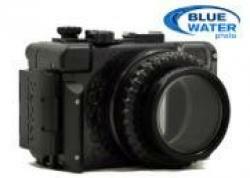 Purchase the SeaLife Micro 2.0 on Bluewater Photo. 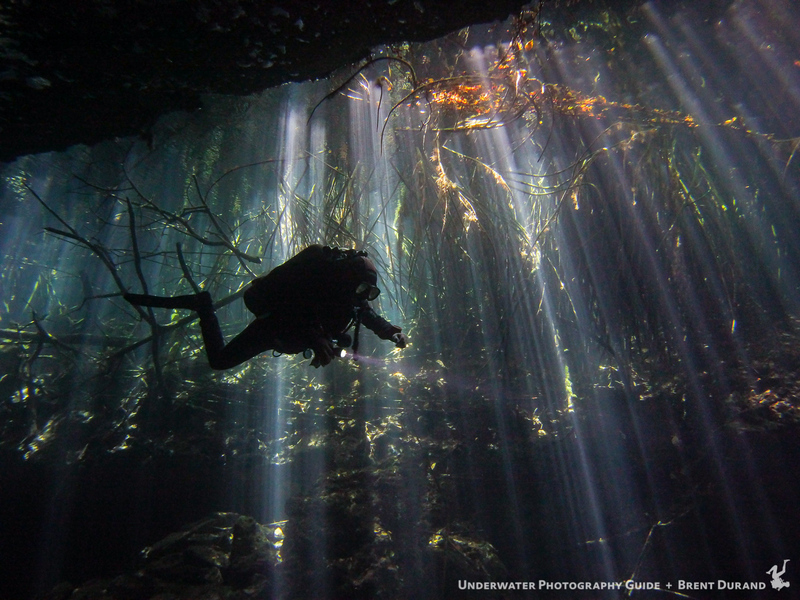 A diver passes mangrove roots in the Yucatan cenotes of Mexico. Shot with SeaLife Micro 2.0. The SeaLife Micro 2.0 is easy to hold; the body is rubber armored and shockproof, with flared right side to help hold between fingers and thumb. 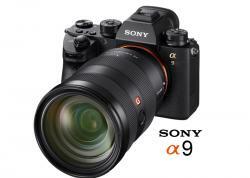 The shutter button is angled for optimum trigger finger ergonomics. There is a standard (1/4-20) tripod hole for mounting the Micro 2.0 to a tray/handle setup... or a tripod. Charging the Micro 2.0 and transferring photos is easy. Simply remove a rubber plug that covers the wet USB contacts and slide in the USB adapter. You can also transfer images via WiFi, as we explore later. The SeaLife menu is very easy to operate. You turn on the camera by holding down the Play button. A push of the center Menu button brings you to three menu categories. Photos are recorded as .jpg files. While .jpg doesn't offer the same post-processing flexibility as RAW files, it makes the photos easy to share straight from the Micro 2.0 and SeaLife mobile app. For one-click editing, be sure to check out our review of Vivid-Pix. Push the shutter to enter this menu. This is where you can select a land mode or 3 different underwater modes. The difference between them is the camera's white balance setting, or how much the camera corrects for the blue/green color you often see in u/w photos. Once in the Setup menu, just press the up or down arrow (video & menu buttons) to choose Land or Underwater modes. If you choose Land, you're done. Woo Hoo! 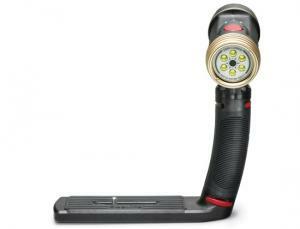 If you choose Underwater, you can now select from diving, snorkeling or diving with video light(s). Capture Md: Single. The other modes may prove useful in certain situations but are for advanced users. Scene Md: Leave as is. This is another way to change the mode you initially set in the Easy Setup menu. FOV: Wide 130. Tip: if you are shooting smaller subjects like fish, try setting this to medium 100 or narrow 80 degree field of view in order to help fill the frame more. Metering: Center. 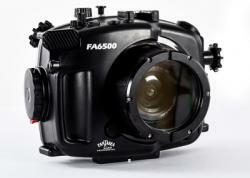 We recommend this setting for the most common shooting situations - fish, divers, corals, etc. If you are shooting things like reefscapes, try using Average. WiFi: Off. Turn this on and download the SeaLife App to control the camera and view photos/videos via your phone or tablet. System Reset: Restores factory default settings. Format: This deletes all photos and videos. Mem. Available: Variable depending on how many photos/videos are stored in memory. SSID: Available when WiFi is turned on. Most of the settings above are camera defaults, so you don't really need to dive into these menus if you are a bit intimidated. That's exactly why SeaLife created the Easy Setup! 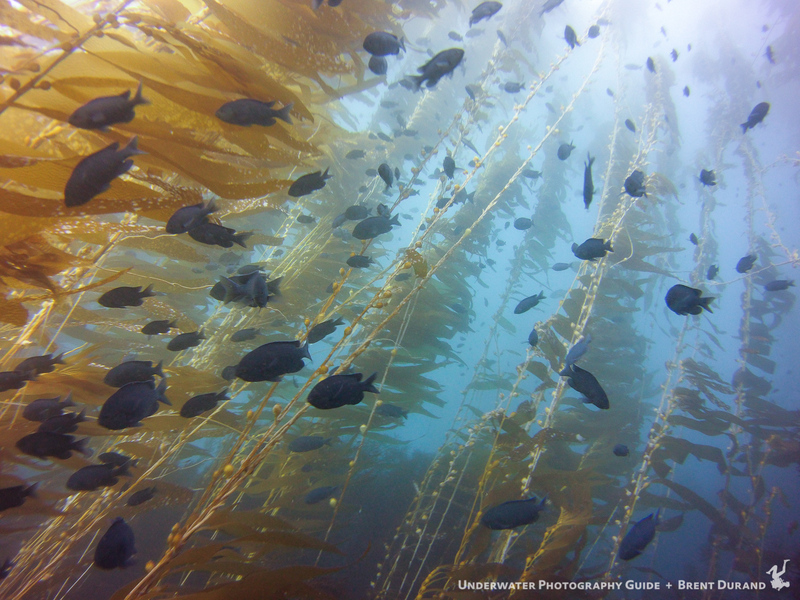 Scene from the kelp forests of California's Channel Islands National Park. Shot with SeaLife Micro 2.0. 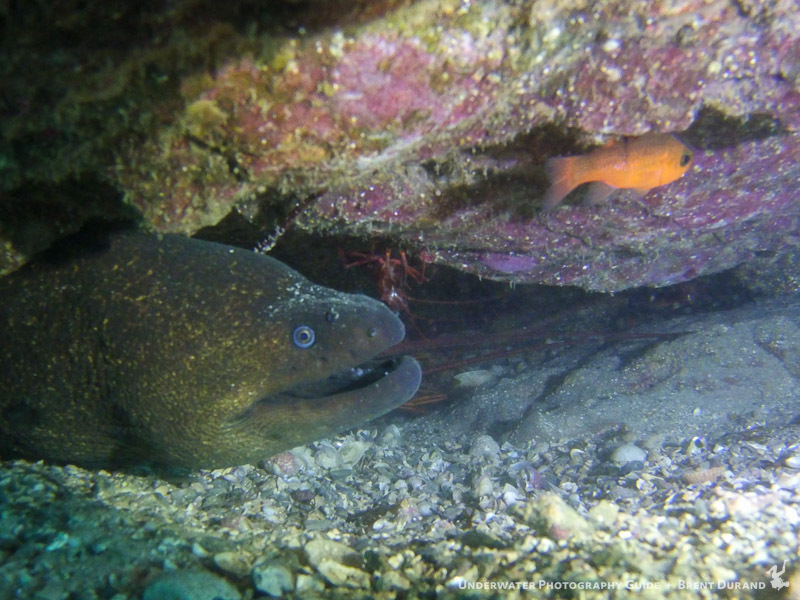 A moray eel and cardinalfish share a narrow crevice under a rock at Catalina Island - a shot unreachable with a bulkier camera/housing kit. Shot with SeaLife Micro 2.0. 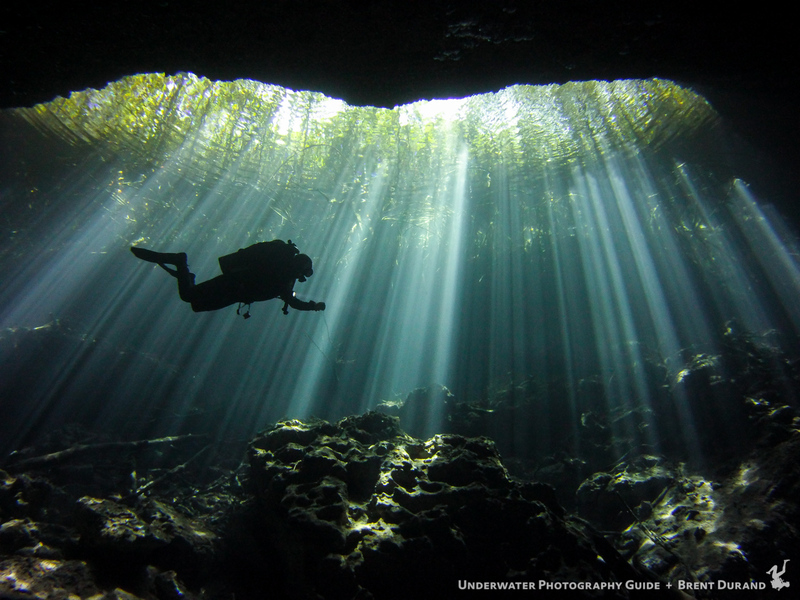 I took the SeaLife Micro 2.0 into the water on three dives: once stuffed down my wetsuit in the cenotes, once in my drysuit pocket and once as a primary camera mounted to a tray and light system. 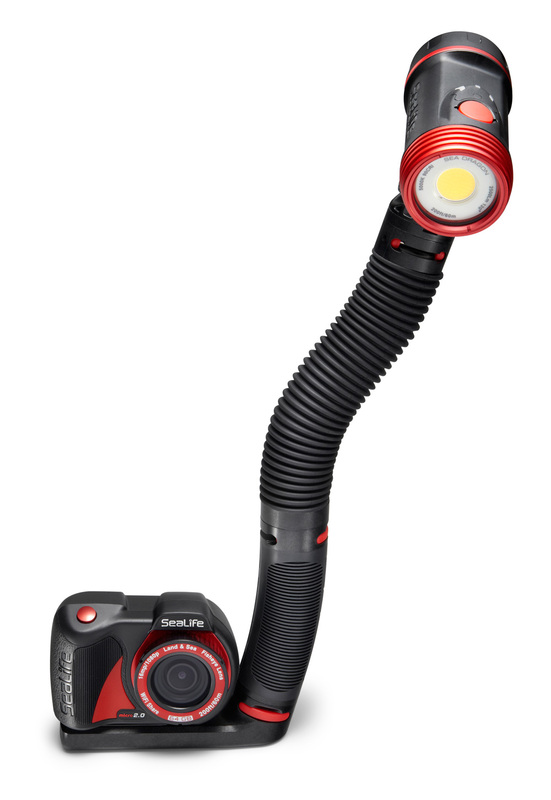 Pictured is the Flex-Connect tray, handle and the Sea Dragon 2500 lumen light, part of the Micro 2.0 Pro 2500 kit. 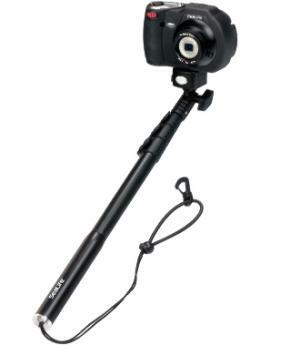 The camera is easy to use whether hand held with finger or gloves, or mounted to handle and tray. Unlike most compact cameras, the SeaLife Micro 2.0 focuses just before it shoots, instead of by half-depressing the shutter. This serves to make things more simple. You can also shoot a still photo or start recoding video without changing modes, plus shoot still photos while recording video. Easy. In each shooting situation you see in the pictures in this review, I simply chose Underwater in the Easy Setup menu and then shot away with out any changes after that. Reviewing images is easy; just press the playback button and then the up and down keys to select an image to magnify, then the shutter button to magnify the image. Press Playback again to go back a step. One important note is that the minimum focus distance is 12". Be very mindful of this when shooting macro images as anything closer than 12" will not be in focus. The compact V10 focus light provided plenty of light to bring out vibrant colors of the reef and macro critters. 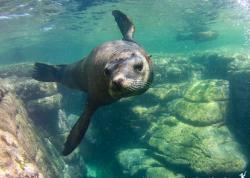 The SeaLife Micro 2.0 records Full HD 1080p video. It does this at 30fps, which is standard for digital video editing. In addition, it can shoot at 60fps, which allows editos to slow the footage down for slow motion! I didn't get a chance to test the Micro 2.0 video, but it is sure to perform even better than this great demo shot with the Micro HD+. The SeaLife Micro 2.0 is a great camera for divers who are looking for simplicity as well as divers looking for a small and compact first camera system. 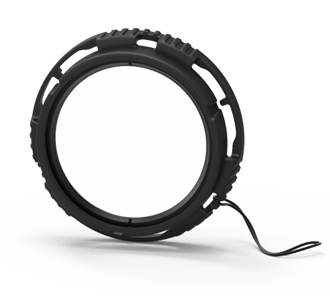 The ability to add the SeaDragon tray, quick-connect handle and video lights makes the system scaleable, while the fact that you don't have to deal with any o-rings makes maintenance a dunk in fresh water (literally). - New powerful Sea Dragon 1500 and 2500 video lights will make video even easier - wide 120 beam angle perfect for the Micro 2.0's fisheye lens, with light color temperature dialed for precise color representation (5700K and 5000K respectively). The SeaLife Micro 2.0 is available with 32GB or 64GB of memory, making the pricepoint right no matter your budget.